There is no set formula for determining the success of a social media campaign. 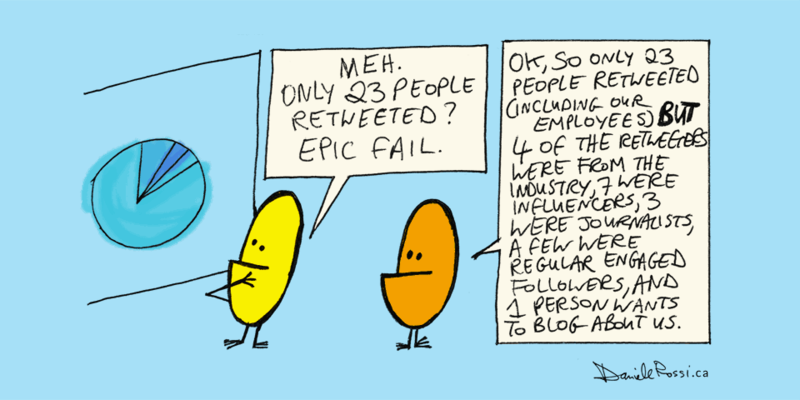 Something along the lines of “if you get over X number of retweets or reach on Facebook, then you were successful” doesn’t apply to the social media campaigns because each has its own unique goals (you are thinking about the goals first, right?). you haven’t tossed out traditional media who can talk about you on their social networks, right? And any number of other reasons. 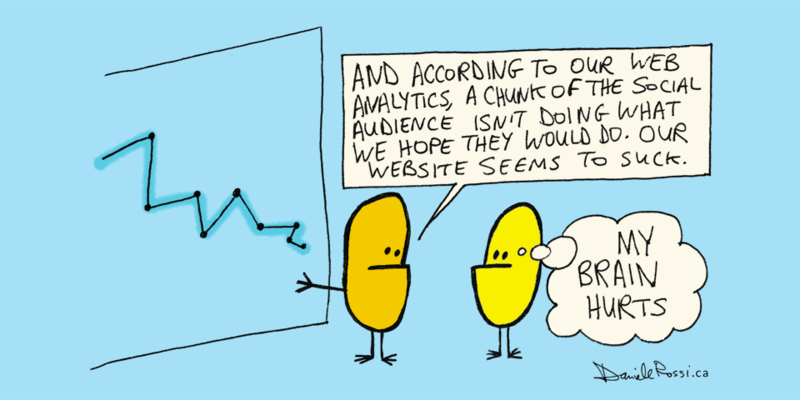 With proper context, low analytics may not mean failure (but you may need to work a little harder or do some refining). One of my infographic campaigns reached over 17,000 people on Facebook. Would 17,000 be a low number for a well established, highly engaged brand such as Disney, Starbucks, Harley Davidson when they are used to getting a lot higher numbers? No matter the social network, it’s important to look at who did the sharing of your content. Who wrote the comments? Who did the liking? Who did the favouriting? At my last workplace, finding out who did what helped my team tremendously with understanding who followed us, what their needs were, and most importantly, build a better win-win relationship. After all, social media is for being social. Knowing all this helped us tailor and target our posts in a more effective manner. Quantity is good (the more the better, right?) but never overlook the nuggets of gold in the qualitative stuff. By taking the time to identify the who, we learned that we were being followed by key industry partners, journalists, and influencers. This enabled us to be more proactive in thanking them for sharing or replying to their comments, and thus, build a relationship. What did the audience say to you? You can learn a lot about your audience from what they write in their comments. Back at my previous workplace, our Facebook audience revealed themselves to be former clients and former employees. Along with helping us tailor future campaigns, this also gave us insight into how much those who no longer had a need to still follow us still wanted to engage with us (also a pretty good indication of a respected brand). What did the analytics tell you? Keep an eye not just on the native social analytics but your website analytics, too. 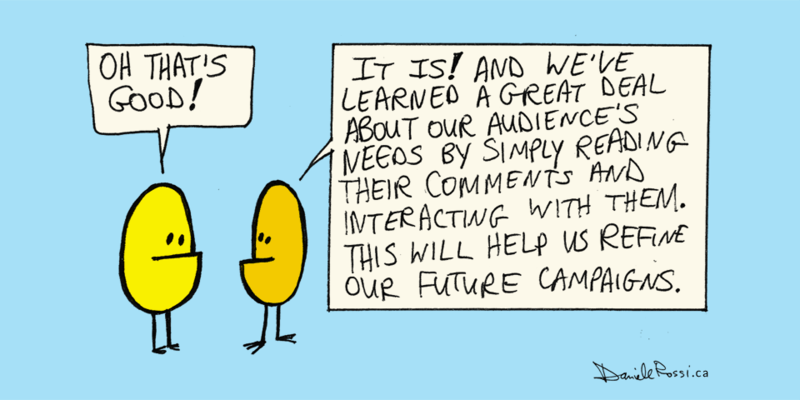 And intranet – your employees are your biggest brand ambassadors! Look at the traffic flow. Are people actually going to your website/landing page from your social media campaign’s call of actions (if applicable)? Are any steps to the final goal being missed due to unoptimized pages or worse, 404 errors? This is were quantitative really starts to matter – if your campaign goal was to, say, increase sales, well, have sales increased? If your campaign was to increase registrations – yup, you guessed it – has the number of registrations increased? The more tools you incorporate into your website, intranet, and social media strategy, the more you should include their native analytics in your overall monitoring. Together they can provide a holistic profile(s) of your audience’s behaviours and effectiveness of your digital channels. 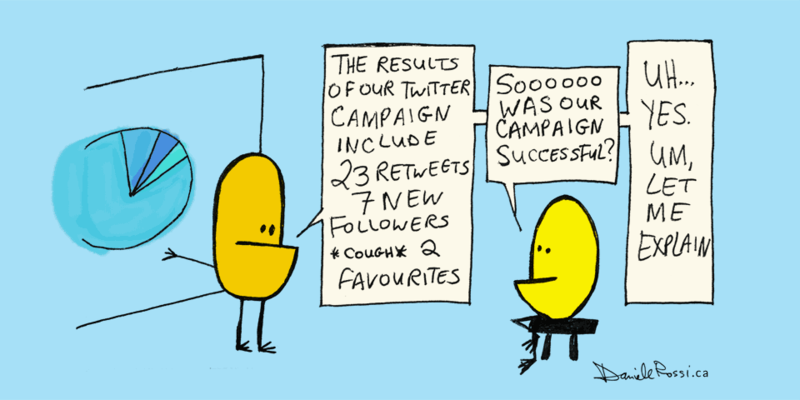 I’ve only scratched the surface of determining the success of a social media campaign. 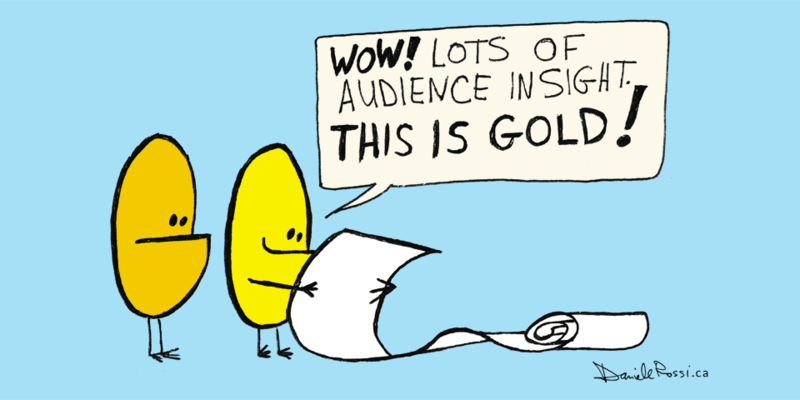 Just try not to overlook or undermine the value in audience insight. I know it’s not as fun as strategizing and creating the content itself for most people, but it determines the success of your work flat out. 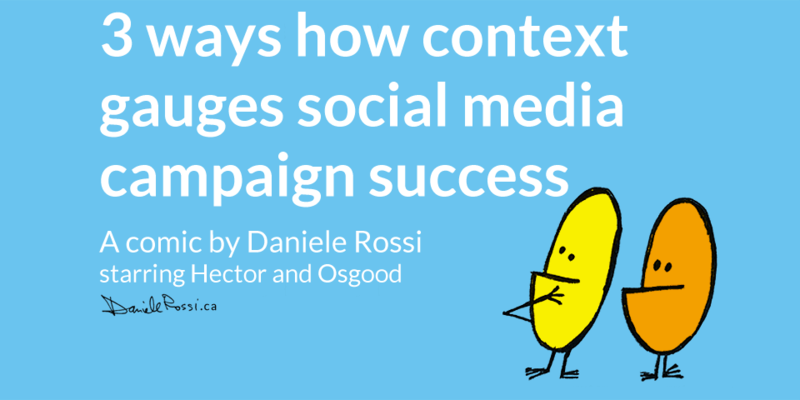 What other criteria do you use to determine campaign success?